Immuno-oncology biotech Grey Wolf Therapeutics has raised £10 million in series A financing to develop therapies that increase tumour visibility. The company’s approach is aimed at directly altering tumour cells, rather than direct regulation of the immune system. This ‘illuminates’ the tumour for attack and destruction by the immune system. The goal is to exploit this increased tumour visibility in monotherapy and to extend the therapeutic benefit of already approved immunotherapies to many more cancers. 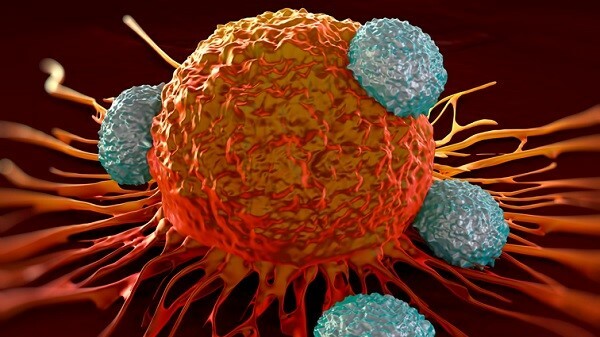 “This unique small molecule immuno-oncology approach builds on the exciting recent advances in cancer immunotherapies that address a key limiting factor for approved treatments, while avoiding the complex and costly personalisation required for other approaches such as neoantigen vaccines,” the company said in a statement. Grey Wolf has programmes targeting the two homologues of ERAP, ERAP1 and ERAP2, aimed at developing potent and selective modulators, with the lead programme being against ERAP1. The financing was provided by healthcare investors Andera Partners – who last year invested in DNA Damage Response company Artios – and Canaan. Raphaël Wisniewski, partner at Andera, Thierry Hercend, venture partner at Andera and Brent Ahrens, general partner at Canaan have joined Grey Wolf’s Board of Directors.